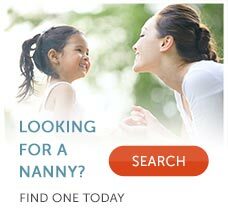 Why Hire a Newborn Nanny Care Specialist or Night Nanny? A Newborn Care Specialist (NCS), formerly known as a “Baby Nurse” and sometimes referred to as a “Night Nanny,” can be extremely helpful with the transition of bringing home a new baby. It’s important to note that a “night nanny” does not traditionally have the same qualifications as a NCS and is primarily a person who comes into your home and manages the baby throughout the night through soothing and possibly bringing the baby to you. Pre-baby, many families think that the Newborn Care Specialist will be there to benefit and support the new baby, however, the NCS will be there to emotionally and practically support your family as you find your way through those first three months of your new baby’s life. Nowadays we live in a time where many of us move away from our family of origin and we don’t have our mother or sister nearby to help us with childcare or all of the millions of questions that come along with a new baby. A newborn care specialist can provide you with knowledge and wisdom that will help you on your way into parenthood, including but not limited to changing, bathing, circumcision care, sleeping, feeding, and swaddling. Among their varied responsibilities, a Newborn Care Specialist will be knowledgeable of how to set up a schedule for the baby that includes sleeping and feeding times that fit into your family’s lifestyle. Newborn Care Specialists are experienced in teaching your baby to sleep through the night using gentle techniques. They work closely with parents and other nannies to develop a plan that works for your family! NCS are also experienced in managing diaper rashes, colic, soothing techniques, reflux issues, and swaddling, and also have knowledge of formula and breastfeeding. Many Newborn Care Specialists are whole-heartedly dedicated to the care of newborns and really enjoy educating and supporting parents. It is not uncommon to find that a Newborn Care Specialist also has some other qualification such as being a registered nurse, licensed practical nurse, or you may find they are on the International Board of Lactation Consultant Examiners. The Newborn Care Specialist Association (NCSA) has been developed to oversee the certification and ongoing education in the field of newborn care. They require several criteria be met in order for an individual to be certified, including passing a certification test, fulfillment of reading requirements, current cpr/first aid, evaluations from families who have worked with the candidate, professional references, completed and clear background check, possession of postpartum liability insurance, completion of a breastfeeding class, and completion of an internship. Many Newborn Care Specialists are not certified. Many will call themselves Newborn Care Specialists/Baby Nurses even though they are not fully qualified to be doing the job of a NCS, which could pose problems or gaps in their knowledge base. Regardless of whether they are certified or not certified, make sure you ask the right questions during the interview process!